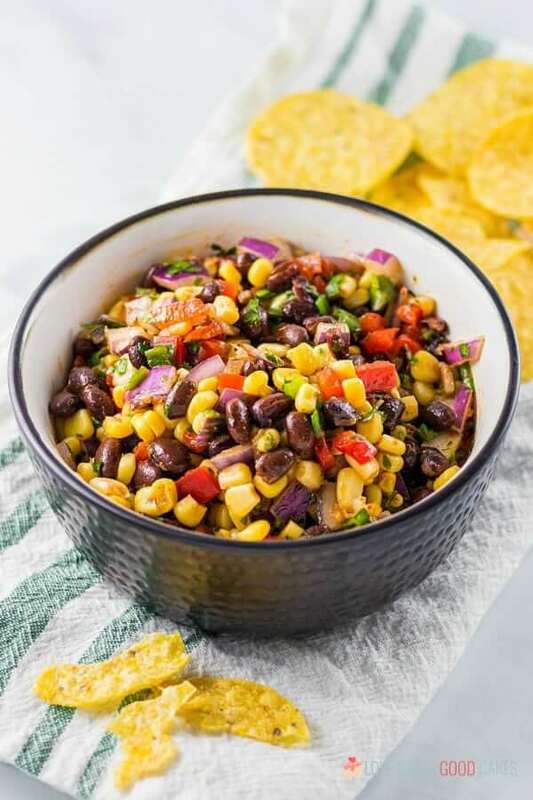 Whether for your summer party or for your next game day tailgate, this Black Bean and Corn Salsa is the perfect appetizer when served with some tortilla chips! 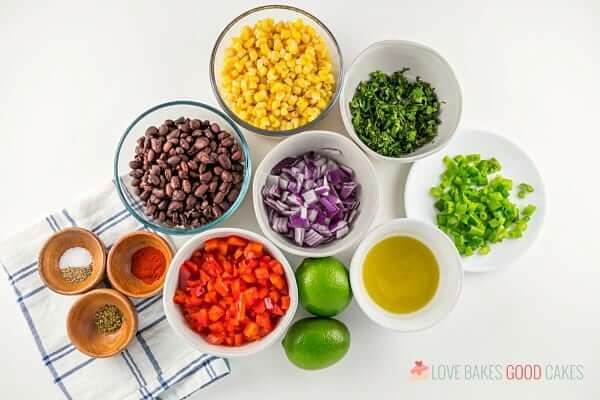 Also great served over fish, chicken, pork, and beef as a salsa. You guys! 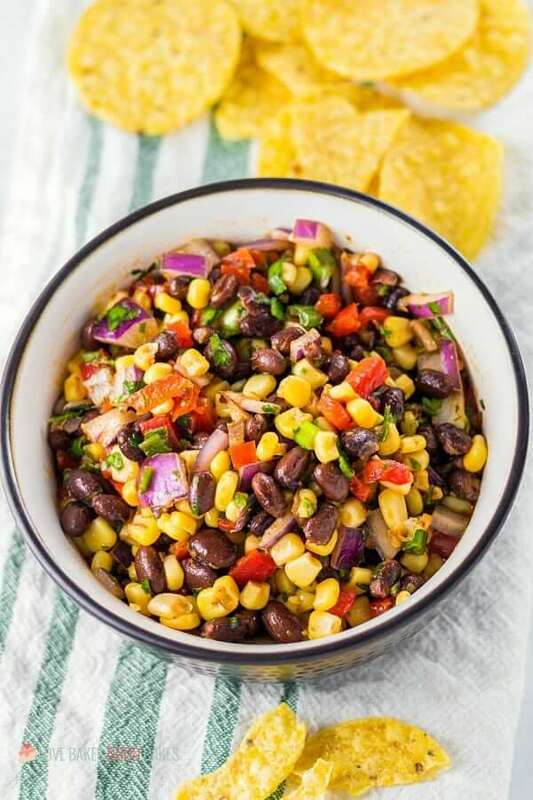 You’ll want to save this Black Bean and Corn Salsa recipe. 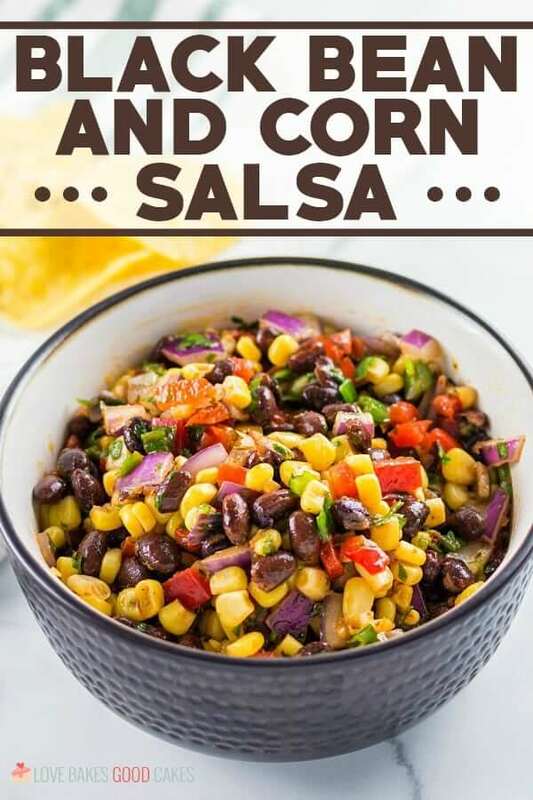 With football season coming up, it’ll be your go-to recipe for game day! 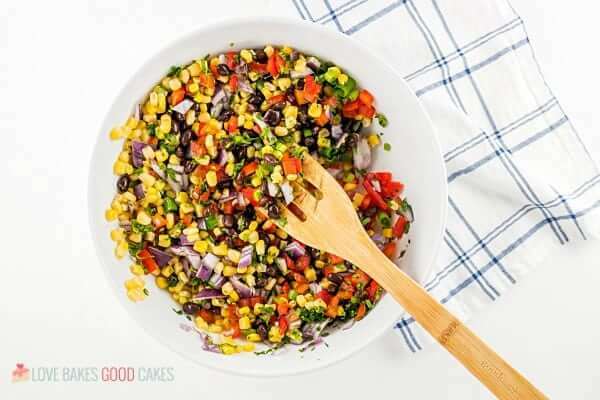 It’s also great for summer cookouts, potlucks … just any time you need a simple yet delicious appetizer idea! This Black Bean and Corn Salsa is such a versatile recipe. It’s great for parties when you need an appetizer idea – just mix it up and serve it with tortilla chips! We have a big (end of summer, hello football season) party coming up in September and this will be one of the dishes we serve! 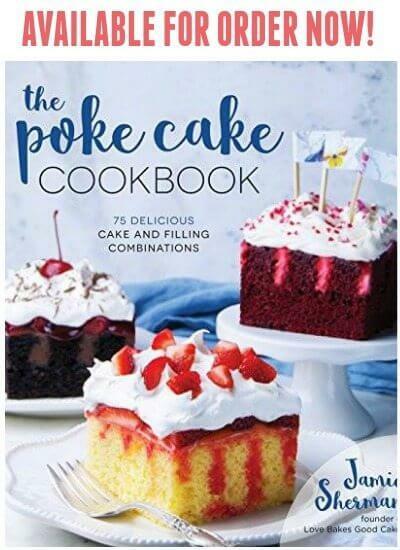 It’s always a hit with guests! 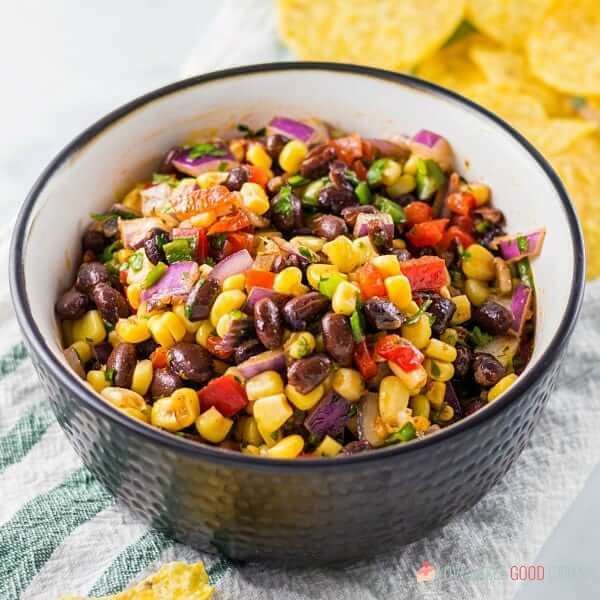 This Black Bean and Corn Salsa also makes a great addition to dinner when you use it as a salsa on top of fish, chicken, pork, or beef. 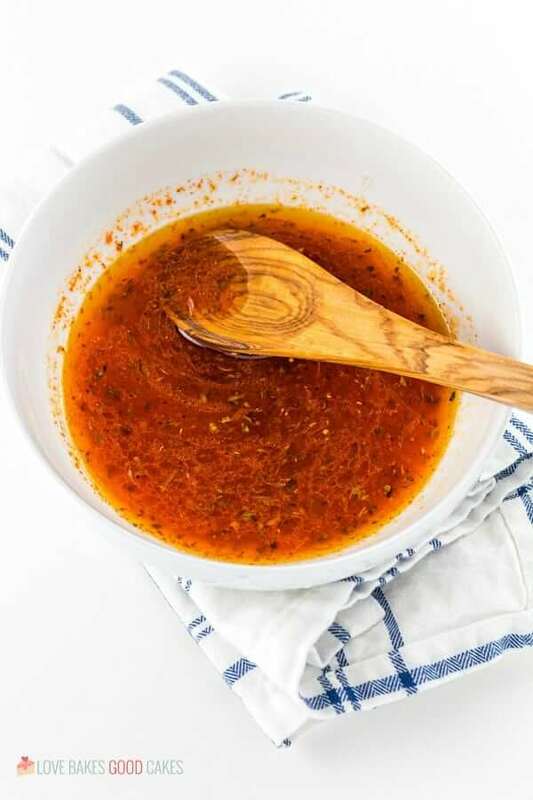 One of my favorite ways to use this salsa in a meal is with tortilla-crusted fish or chicken and to serve it with a side of Mexican Rice or Cilantro-Lime Rice. 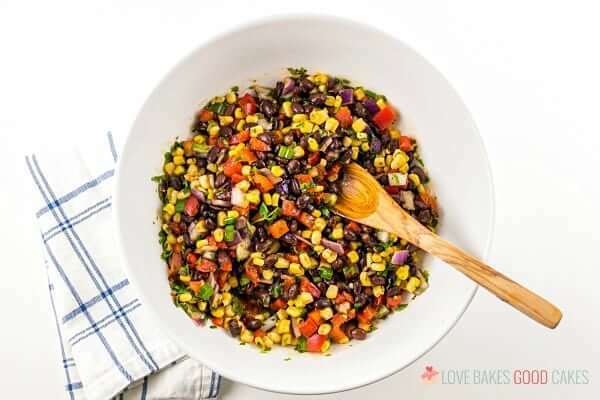 It makes for a simple and delicious dinner idea! 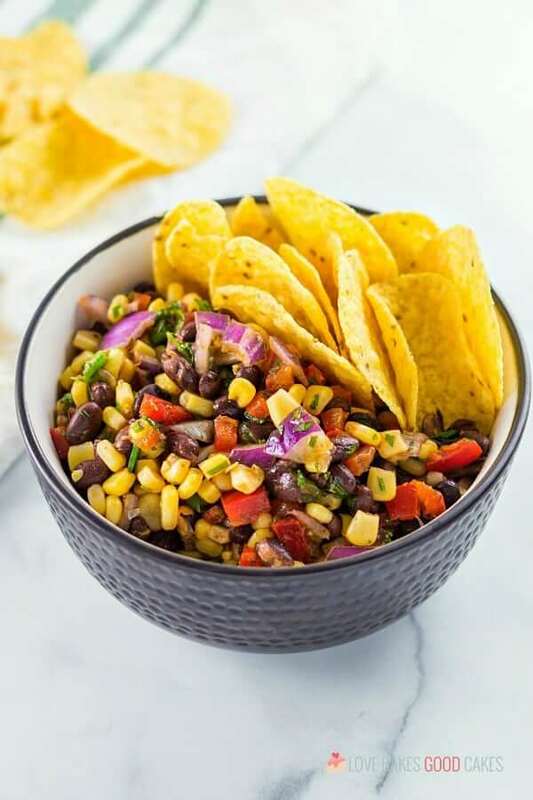 To make this Black Bean and Corn Salsa, you’ll start by adding the beans and veggies to a big bowl. Aren’t they so pretty together?! 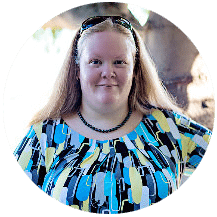 I love all the different colors and textures! Next, whip together the simple dressing. Be sure to give it a taste and add more salt and/or pepper, if necessary. 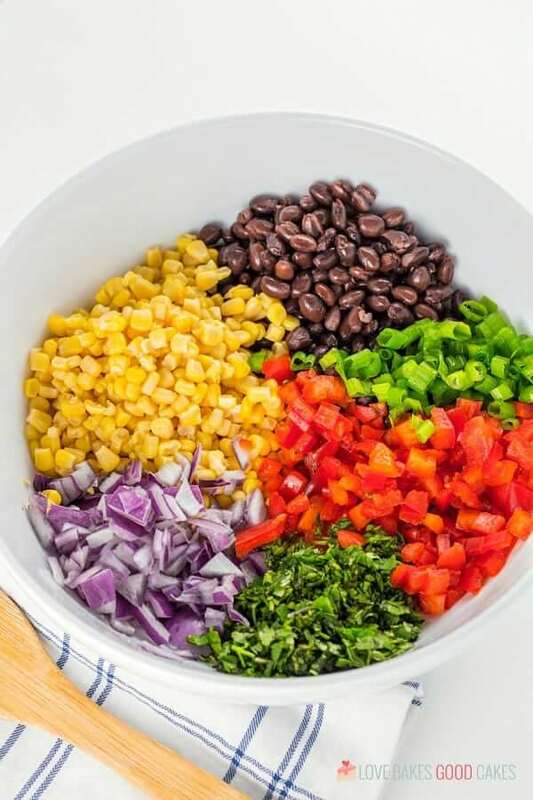 Pour the dressing over the beans and veggies in the bowl and give it a stir. 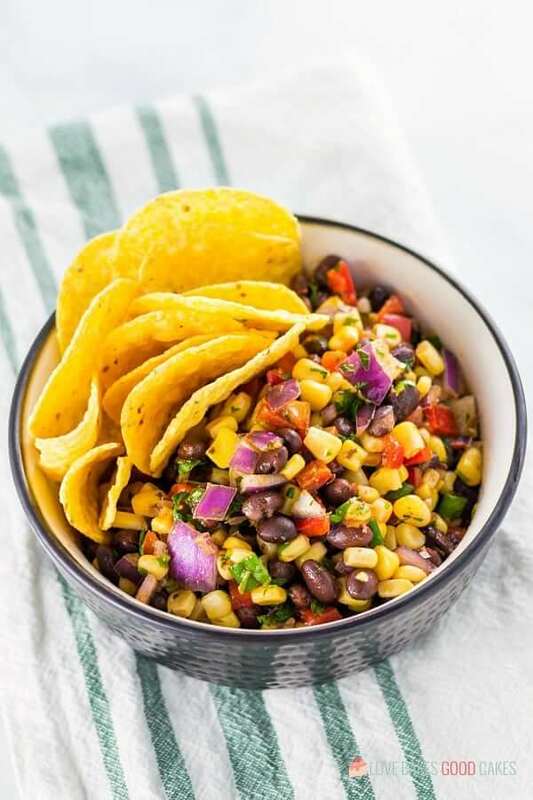 For better flavor, you’re going to want to let this Black Bean and Corn Salsa chill in the fridge for a bit. Give it a good stir again just before serving. Mmmmmm! Step by step explanation is great ! !